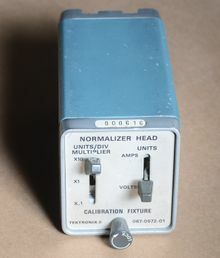 The Tektronix 067-0572-00/01 is a calibration fixture for normalizing sampling plug-ins that use S-series sampling heads. The trigger output is produced by a 152-0140-01 tunnel diode. This page was last edited on 7 March 2019, at 10:55.